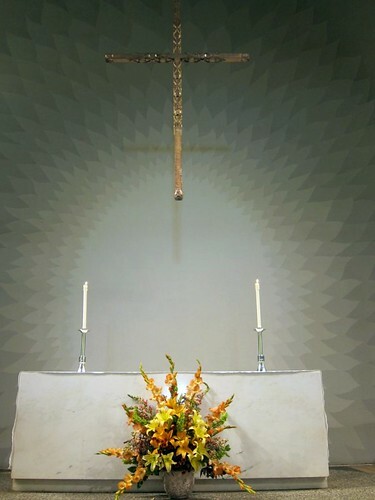 As a community in Christ, Saint Andrew’s Episcopal Church offers a spiritual home for those seeking to celebrate God’s love, participate in joyful fellowship and faithfully serve those in need, near and far. 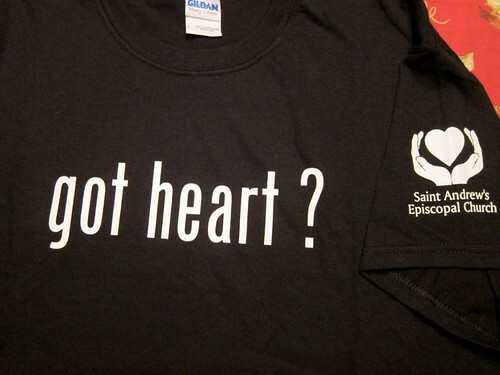 I think it is particularly appropriate that St. Andrew’s recently had “got heart?” tshirts made up for this year’s stewardship campaign. St. Andrew’s is a generous community with welcoming hearts. In May 2010, a St. Andrew’s Vestry Facilities Task Force was chartered to consider the changes in facilities needs for the parish since our Strategic Plan was created some years ago. Why create this Task Force? The parish continues to grow, there have been changes in staff, and the national economic downturn means that less money is available than when the original plans were created. The task force included me (Katy Dickinson – the Chair), Gerry Chartrand, Ken Cook (the liaison to St. Andrew’s Master Facilities Committee), and Harry Van Wickle. The team received generous support and advice from our Rector and Senior Warden, and from the many people who were interviewed. The Task Force was asked to focus on lasting decisions rather than short-term fixes. Saint Andrew’s Episcopal School is also developing a facilities analysis in coordination with this work. We interviewed over fifty parishioners, clergy, and church staff, both individually and during four open forums in July 2010. In addition, the national Episcopal Church provided us with a list of Episcopal churches that are the next step larger than St. Andrew’s. Five of the churches interviewed so far are located in California, New York, Texas, Virginia, and Washington DC. 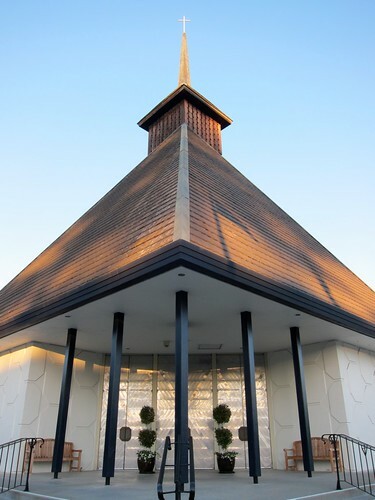 These benchmarking interviews are to understand the circumstances and best practices of parishes that are the size that St. Andrew’s aspires to be. The national Episcopal Church also provided extensive reports containing demographic and community trend analysis. Topics most mentioned in the interviews included: Accessibility (16 mentions), Acolytes (11 mentions), Bathrooms (14 mentions), The Center (50 mentions), Choir Loft (18 mentions), Kitchens (30 mentions), Library (11 mentions), Labyrinth (6 mentions), Meeting or conference spaces (60+ mentions), The Narthex (15 mentions), The Nursery (12 mentions), The Oak (10 mentions), Offices (30 mentions), Outreach (8 mentions), Parking (18 mentions), Storage (31 mentions), and Youth Room (23 mentions). The issue which seems to raise the most passion is our need for more Storage! Some of the suggested facilities changes are expensive but many are not. The Task Force presented its findings to the Vestry in August and to the Master Facilities Committee and the parish at large this month. Our reports have been well received. We will follow up with several of the larger churches on additional questions that have been raised since the first report to the Vestry. It has been a pleasure to use some of the good management tools and business methods I learned as part of my Six Sigma training during this worthy and interesting project. It has also been an honor and joy to work with my talented team! Katy, you are a leader, a worker and also an excellent writer, as evidenced by this blog post. Thank you for the honor of being a small part of this effort.